Told through the lives of three Afghans, the stunning tale of how the United States had triumph in sight in Afghanistan—and then brought the Taliban back from the dead. 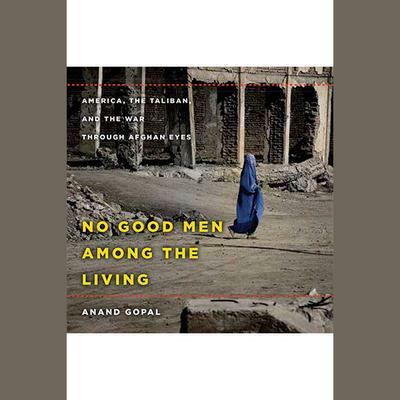 In a breathtaking chronicle, acclaimed journalist Anand Gopal traces in vivid detail the lives of three Afghans caught in America's war on terror. He follows a Taliban commander, who rises from scrawny teenager to leading insurgent; a U. S.-backed warlord, who uses the American military to gain personal wealth and power; and a village housewife trapped between the two sides, who discovers the devastating cost of neutrality. Though their dramatic stories, Gopal shows that the Afghan war, so often regarded as a hopeless quagmire, could have gone very differently. Top Taliban leaders actually tried to surrender within months of the U. S. invasion, renouncing all political activity and submitting to the new government. Effectively, the Taliban ceased to exist-yet the Americans were unwilling to accept such a turnaround. Instead, driven by false intelligence from their allies and an unyielding mandate to fight terrorism, American forces continued to press the conflict, resurrecting the insurgency that persists to this day. With its intimate accounts of life in war-torn Afghanistan, Gopal's thoroughly original reporting lays bare the workings of America's longest war and the truth behind its prolonged agony. A heartbreaking story of mistakes and misdeeds, No Good Man Among the Living challenges our usual perceptions of the Afghan conflict, its victims, and its supposed winners.